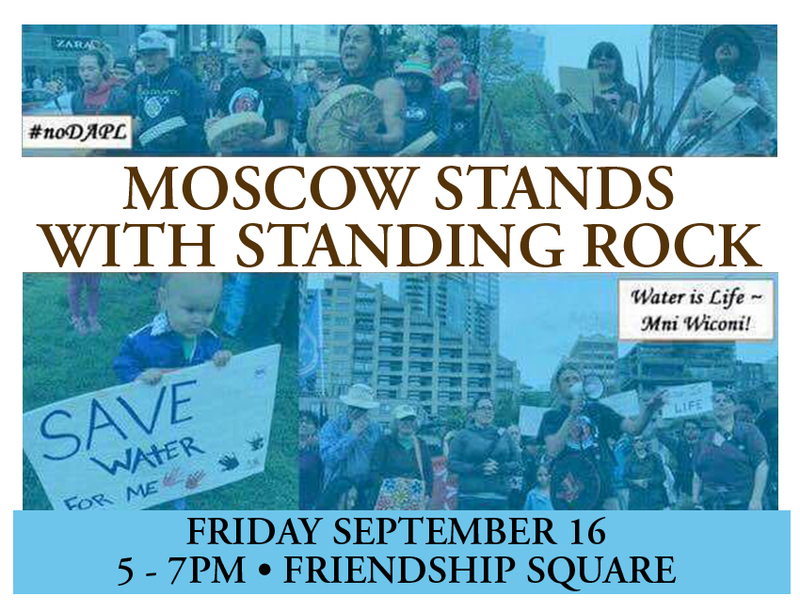 In response to requests by indigenous and allied activists at the direct action camps challenging Dakota Access pipeline construction in North Dakota, Wild Idaho Rising Tide (WIRT), Nimiipuu (Nez Perce) Protecting the Environment, and Palouse Environmental Sustainability Coalition are co-hosting weekend #NoDAPL solidarity rallies in Moscow and Sandpoint, Idaho (see attached event flyers). 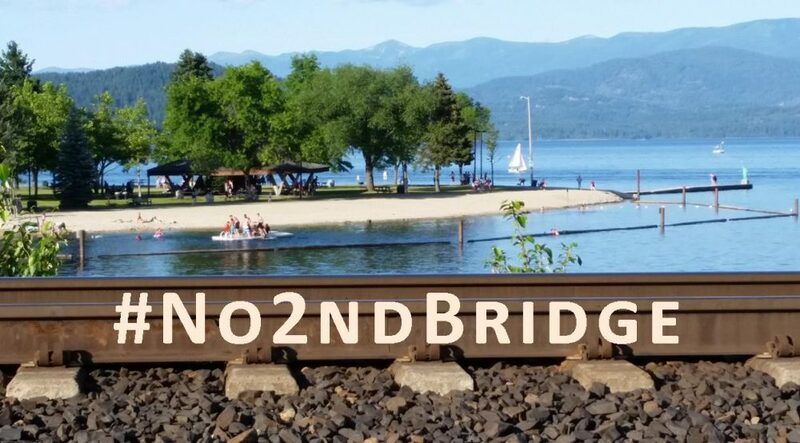 Join dozens of concerned citizens at the water fountain in Friendship Square at Fourth and Main streets in downtown Moscow at 5 pm on Friday evening, September 16, and near the spray pool in Jeff Jones Downtown Square at Third and Main streets in Sandpoint at 1 pm on Saturday afternoon, September 17. 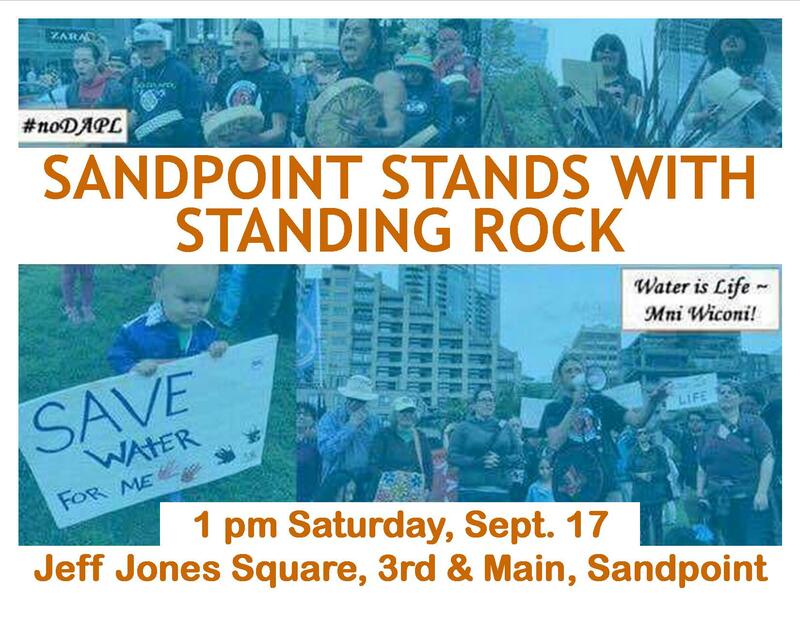 Please bring your signs and banners supporting this pipeline opposition, your reflections on water protection and fossil fuels resistance in the Great Plains and inland Northwest, and your willingness to protest investors proliferating destructive fossil fuel transport. WIRT hopes to provide a more comprehensive report about the situation soon, with information about opportunities to support this historic convergence and campaign. For now, we gratefully anticipate seeing you at these actions in Moscow and Sandpoint this weekend. Thanks!